Scrap the pumps- bring in the worms! Earthworms have been in the news recently, with new data confirming that earthworm numbers are low in UK arable soils due to intensive ploughing, repeated soil disturbance and low soil organic matter. Earthworms are important soil organisms: their burrowing and feeding activities allow water to percolate through soil; they breakdown organic matter, releasing nutrients for plants and other soil organisms like bacteria and beneficial soil fungi, but also stabilising the residual organic matter. Earthworms form characteristic soil casts - these small mounds of earthworm-processed soil form little hotspots of activity on the soil surface and support a myriad of other soil organisms. The contribution of these humble organisms to ecosystems is considerable, and low numbers in arable soils are a concern. What are the knock-on effects on other soil organisms; the release of nutrients for crop growth; for water retention and possible flood control? However, all is not lost. Earthworms can make a come-back, and in a relatively short period of time! 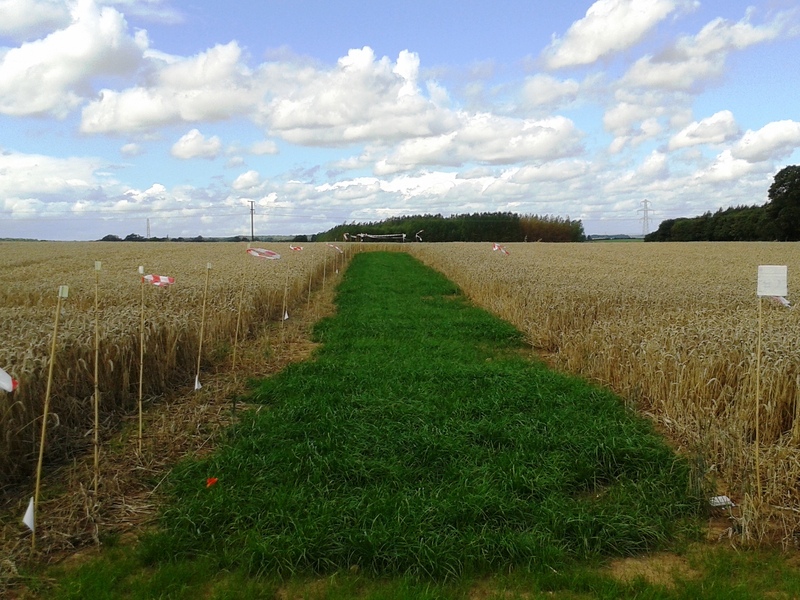 I have been working with colleagues at the Universities of York, Leeds and Sheffield (https://www.soilsecurity.org/soilbiohedge/) to assess the recovery of earthworms in newly established grass-clover leys. 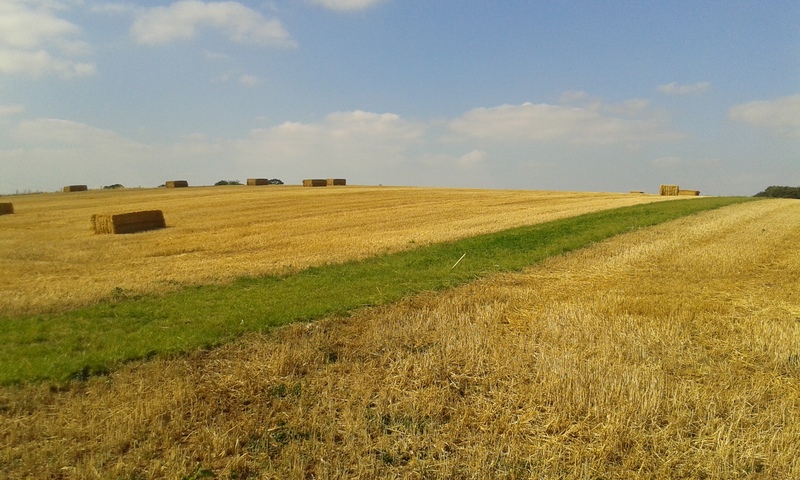 We set up the leys in arable fields which had been used for arable farming for many years, resulting in low soil organic matter and poor soil structure. These soils also contained very few earthworms compared to nearby long-term pasture soils. Using simple equipment, sturdy boots and a shovel, my team and I - all converted earthworm-enthusiasts - counted the earthworms we collected from soil pits before the leys were sown, and then every 3-4 months over 2 years, as the leys developed. The leys were managed following standard practice and were regularly mown. Within a year, the grass-clover leys looked good. Even from space, using Google Earth, I could see our experiment as green stripes in fields of ready-to-harvest golden wheat. But what was happening in the soil itself? All that new plant growth was pumping valuable carbon into the soil, through the grass and clover roots, stimulating the soil biology. The best time to find lots of earthworms is in cool, wet periods, and the best chance of finding lots of adults is in springtime. (Perfect timing for this year’s http://www.wormscience.org/ !). Adults are easier to name to a species level, and I’m indebted to David Jones at the Natural History Museum for his identifications. This meant I could build a profile of earthworm diversity, not just of their numbers. Earthworm numbers are low in warm, dry summer months. They are sensitive to moisture, and when soils begin to dry out, they go into protective mode, coiling up into balls inside their ‘aestivation chambers’ or, for those species which can, burrowing deeper into the soil profile - which makes them harder to find. Earthworms have lots of offspring. Indeed, over 50% of our pit counts were juveniles. While finding only small similarly-looking earthworms may not be as exciting as finding a big one like Lumbricus terrestris, these juveniles are crucial to the next generation of earthworms. Earthworms loved the grass-clover leys. Within one year, average earthworm numbers were higher in the leys (9 worms per pit) than in the arable soil (4 worms per pit). Within 2 years, the average ley earthworm population (25 worms per pit) was nearing that of the long-term pastures (32 worms per pit) we were also monitoring. Importantly, we found 2 species we had not recorded in the arable soils and a higher number of adult earthworms in the leys (5 worms per pit) than in the arable soils (1 worm per pit). This told us that the populations in the leys were healthy. We also surveyed earthworms under hedgerows and within grassy margins along field edges. These had higher earthworm numbers than did arable soils. On average, we found 12 worms (per pit) in hedges and 19 (per pit) in margin soils. Depending on the species, earthworms were selective and preferred different habitats. Small ‘epigeic’ earthworms that typically live on the soil surface amongst rotting leaves and other plant material, preferred the relatively drier litter-rich soils found under hedges; whereas the grassy margins were home to a wider range of earthworm types, especially the deep-burrowing ‘anecic’ species. Endogeic earthworms, like the surprisingly green or pink Allolobophora chlorotica, were found everywhere. These species tend to live within the soil, forming horizontal burrows. Not all soil pits are the same: the number of earthworms we found in pits varied considerably. Sampling strategy is important and we had to take an average of numerous pits to get a reliable estimate of earthworm numbers. So what does this mean for soil health? The key message from our data is that, although earthworm numbers were low in intensively managed arable soils, changing soil management by introducing a short-term grass-clover ley can help boost earthworm numbers in a relatively short period of time. This is because the reduction in soil disturbance and the perennially green plant cover supplying nutrients increases the survival of juvenile earthworms, so more can grow and reproduce. And crucially, it’s not only the earthworms that benefit. 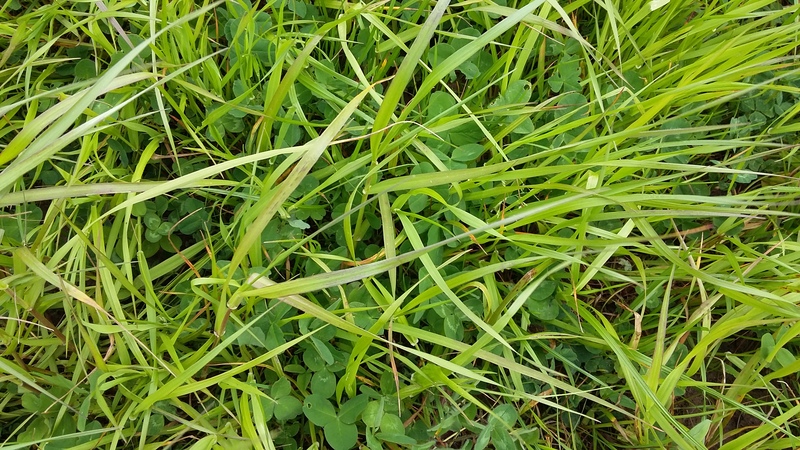 The grass-clover leys were a major boost to soil health all round by: improving soil structure; reducing bulk density; improving water retention; increasing resilience to flooding; increasing nutrient availability and plant growth; and increasing the number of beneficial soil fungi. Some of these improvements in soil quality are directly linked to recovery of earthworm populations. Conventional inversion ploughing and power-harrowing does not support high earthworm populations. But short-term changes in soil management can do a world of good to our soils - and help humble earthworms to thrive! So while you’re counting earthworms this week, think of ways to manage your soils to give you a beneficial effect in the future! "I am an environmental biologist, with a keen interest in soils, especially how soil-dwelling organisms, such as bacteria, fungi and earthworms interact, and how human activities impact them. In turn, I am interested in harnessing soil biology to reduce the impact of intensive agriculture and protect our precious soil resources. Currently, I am based at the University of York, working on a project with colleagues from the Universities of Sheffield and Leeds called ‘SoilBioHedge’. We are interested in understanding how farm management practices such as leys or reducing ploughing intensity affect soil organisms and the subsequent changes in soil productivity." This project was funded by the UK Natural Environment Research Council, under the Soil Security Program. The project is led by Prof. Jonathan Leake (University of Sheffield) and the earthworm study was led by Prof. Mark Hodson (University of York). Thank you to colleagues who joined in the earthworm sampling. Further project details can be found at https://www.soilsecurity.org/soilbiohedge/.